www > Race Report > Harley Yoshii Doubles Up at 2nd Annual Northwest Stock Championships in Oregon! The 2nd Annual Northwest Stock Championships were held this past weekend at PDX RC Underground in Portland, Oregon. This is the home track of our Muchmore USA Team Manager Joe Pillars, who also helped put on this event for the second straight year with track owner Kevin Focht. After nearly doubling the total race entries from just one year ago, the stage was set for a great day of racing! 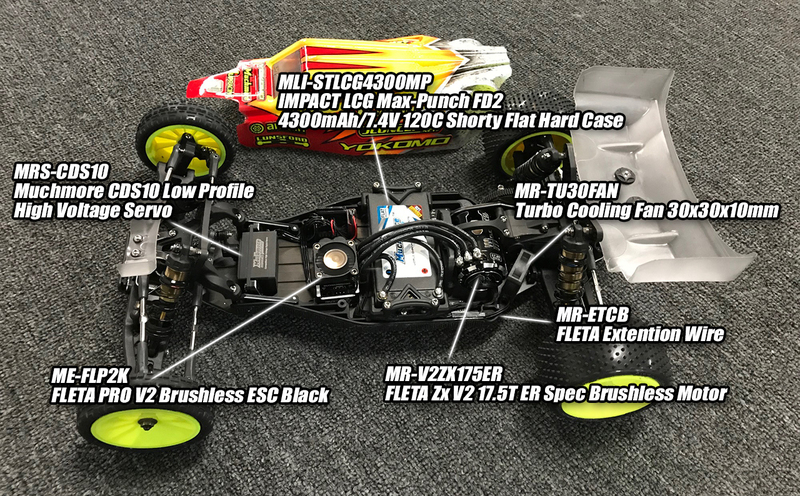 In the Pro 17.5 2wd Stock Buggy class, Muchmore USA Team Manager Joe Pillars took the TQ's in Rounds #1 & 2 with his Muchmore powered Yokomo YZ-2 CA L2! 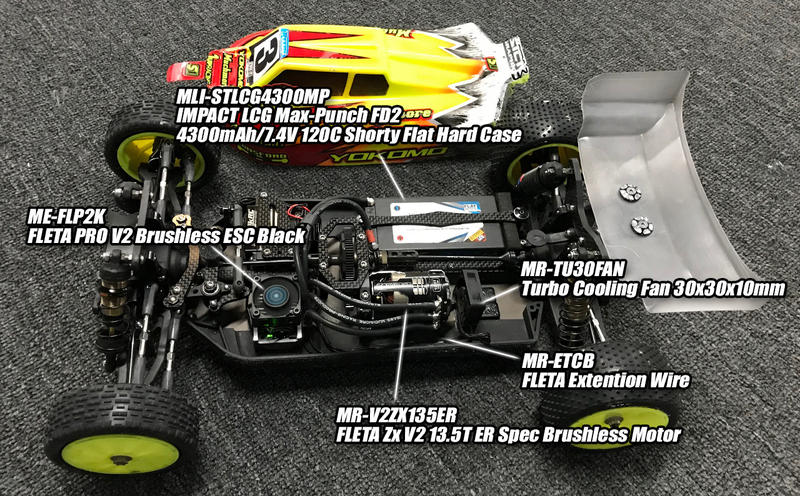 Muchmore Factory Driver Harley Yoshii then went onto reset the overall TQ in Round #3 with his Muchmore powered Yokomo YZ-2 CA L2, to start on the pole for the triple A-Mains! Yoshii took the commanding Win in A-Main #1 leading from tone to tone. Pillars then took the impressive Win in A-Main #2 and leaving the championship to be decided in the third A-Main. Yoshii then put in a flawless drive to take the Win in A-Main #3 and take home the Pro 17.5 2wd Stock Buggy Championship! Pillars would put in a great effort all event long to finish 2nd overall! 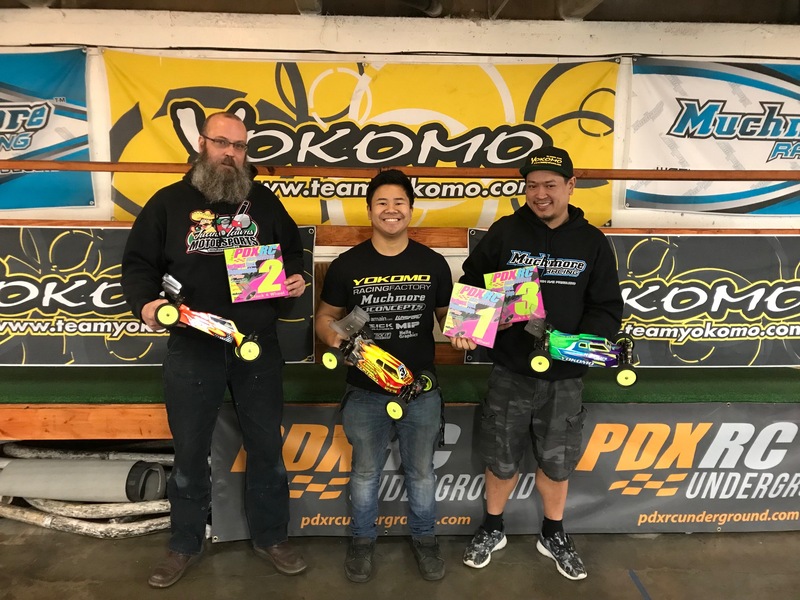 In the 13.5 4wd Buggy class, Muchmore's Harley Yoshii would set a blistering pace in qualifying to take the overall TQ honors with his Muchmore powered Yokomo YZ-4 SF! Yoshii then went onto dominate A-Mains #1 & #2, and claim his 2nd Championship of the weekend to pull off the clean SWEEP! 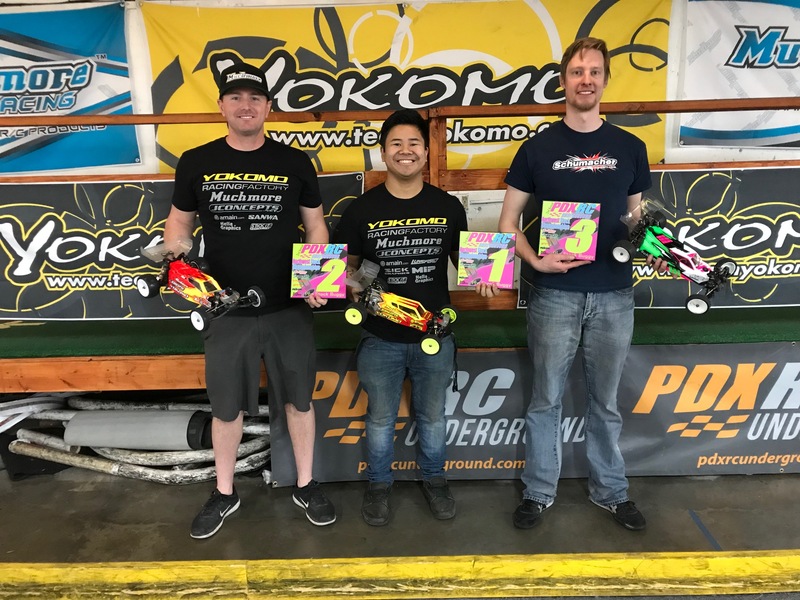 Congrats also to Wes Sayre and Mike Nguyen on finishing 2nd and 3rd overall with their Muchmore powered Yokomo YZ-4 SF's!